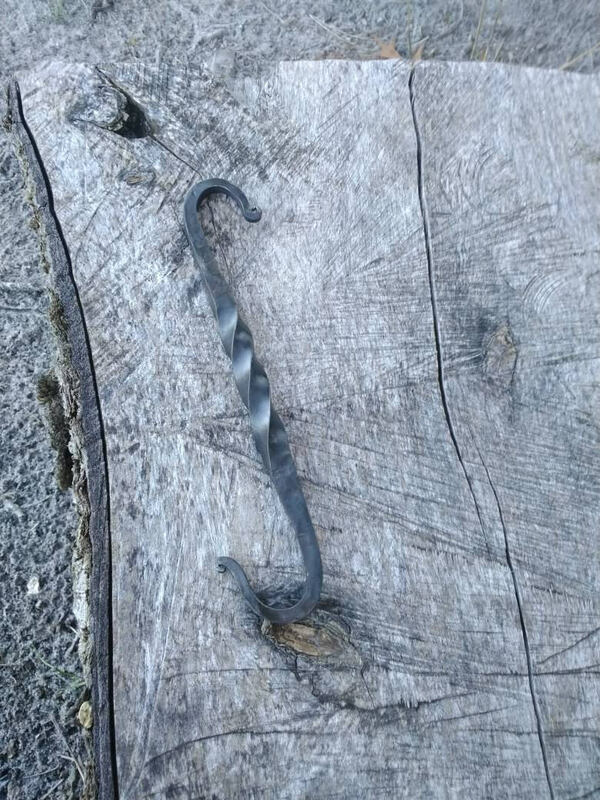 This is a hand forged decorative hook that can be used to hang just about anything. It can be used in the kitchen, patio, or any other room. Would make a great flower pot hangar.